Jennifer is a certified Lifestyle Educator in the First Line Therapy Program. While in her home state of Connecticut, she completed her undergraduate studies in biology. After graduating, getting married and starting a family, Jenn earned her certification in personal training. After 7 years in the fitness industry, she knew that she wanted to transition to a different area of health and wellness and began working in a chiropractic and integrative care office. It was here that she was introduced to naturopathic medicine, where Dr. Paulson had her practice. Jennifer’s personal experience of natural medicine started when she was a patient first under Dr. Paulson’s care. Inspired by her own health transformation, she knew that she had found the field that she wanted to continue her professional growth in. 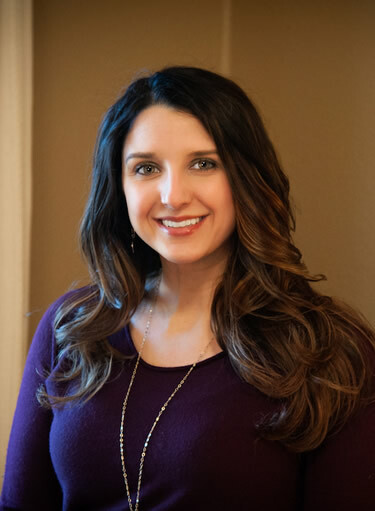 After beginning her work with Dr. Paulson, she knew that she wanted to expand upon her education and is currently enrolled in the Institue of Integrative Nutrition working towards certifcation as a Holistic Health Coach. One of the principles that is often discussed during her appointments with patients of the clinic is that of balance. When our lifestyles and eating habits are out of balance, we will see that our health can suffer as a result. Maintaining that balance can be quite difficult as there are plenty of variables that life brings. Combining her own personal experiences in fitness and nutrition with her clinical practice means that she understands the difficulties in uniting desired health actions and real-world application.